I've had my rocco for 10 years now and over the years its been through some changes, most good but some bad. This thread is an admission of guilt, a little bit of soul clensing and a lesson for others. I bought from a forum member in 2007. I'm really sorry but i cant remember his forum name and not sure if he' still around. It was only lightly moddified, (15" TSW alpines, Mocal oil cooler and lower front strut brace i believe were the only things that weren't original i believe) and it was pretty mint. This is from not long after picking up. Early mods were a set of H&R lowering springs, 16" Borbet C's, removing the side strips, a new headunit and a 12" sub. Being young and foolish the enevitable happened and i went up the back of someone. No damage to their car but it broke my headlight brackets, grille and bent the bumper. The bonnet stripes were to hide another mistake (I was poorly advised to mix a small amount of thinners with some polish it resulted unsurprisingly in some nice shiny bare metal) I liked the stripes and think they kinda worked. I find the best way of learning is by doing. If that means getting things wrong from time to time then so be it. As you'll see later on I'm not afraid to try things and and learn from the results. The pub is calling me now so i'll continue this later. Its taking longer than i though going though these pictures. This car at our Beaulieu gathering in 2008. Got a shot of it in the 1/4 mile q at Inters 2009 too. Wow. 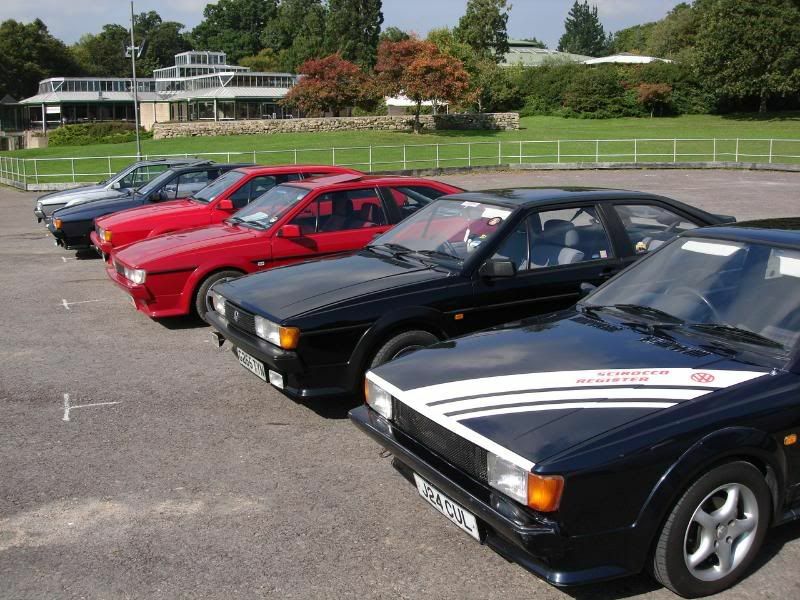 I’d forgotten about the beaulieu meet. Great pics. I did enjoy inters at bruntingthorpe. I think I ran a 17.1, hardly what you’d call rapid! I did like the stripes, I tried to create something that suited the lines of the rocco with a sort of 80's vibe. They were a very quick fix as i was on the register club stand the following day for vw expo 2008 i think, at hop farm in kent. 1st and last time i use an un tested alternative detailing method. It didnt stay like that too ling though. I was quick onto ebay and got lucky with a set of GTI headlights which ive always prefered. New bumper too which i needed to respray so got the bonet done at the same time. Jetex exhaust Fills the hole well and looks and sounds great. especially with the 4 branch manifold which i added later and the jetex air filter. Little cosmetic tweeks were next. Black grille badge and i sprayed the light surrounds at the same time. I ran it like that as a daily with very few changes until 2011 when i Lamin-X'd the headlights and indicators. Lowered on Spax RSX coilovers, uprated H&R anti roll bars, polly bushed all round, G60 brakes front and rear disc conversion, had the borbets refurbed, fitted a Neuspeed camshaft and gave it a marathon 2 day detail! Arty! This is the best its looked and what I'm longing to get back to. I miss having something worth polishing. Not continued the history because its taken a little while to find the pictures from my old phone, but I have found a few so here goes. This is where it started to go downhill quite rapidly. In spring 2013 i started getting the urge to show and shine it at inters. The body work was not up to scratch for this with every panel having at least some sort of dent or lacquer peel and not a massive amount of cash free due to supposedly saving for a house deposit! I wanted to do something which really stood out. I figured that if i vinyl wrapped it I could do all the work myself and there was potential for it to look great. Before i wrapped it I took out all the glass, filled all the dents and sanded back the peeling bits. As the plan was to run it with the wrap for a couple of years then get it resprayed it seemed like a good idea at the time. Outside I also converted to a single wiper with the jets on the arm and smoothed the boot lid and bonnet. I fitted axle spacers and camber shims to the rear and refurbed the borbets in black. All in all it took 2 weeks, fitting it around work but i got it done albeit not to a particularly high standard. Also it was a bit of a rush to get it done so it almost got thrown back together so we could get to inters on the friday before the campsite shut. Made it with 10mins to spare! I was rather chuffed and all the effort seemed worth it. However a couple of months later I returned from a holiday to find 2 inches of water inside. I was gutted and after all the effort to get the car ready I just fell out of love with it. The car was mothballed and i started looking for a new daily. Turns out the water was coming in through a door seal that i hadn't put on properly. 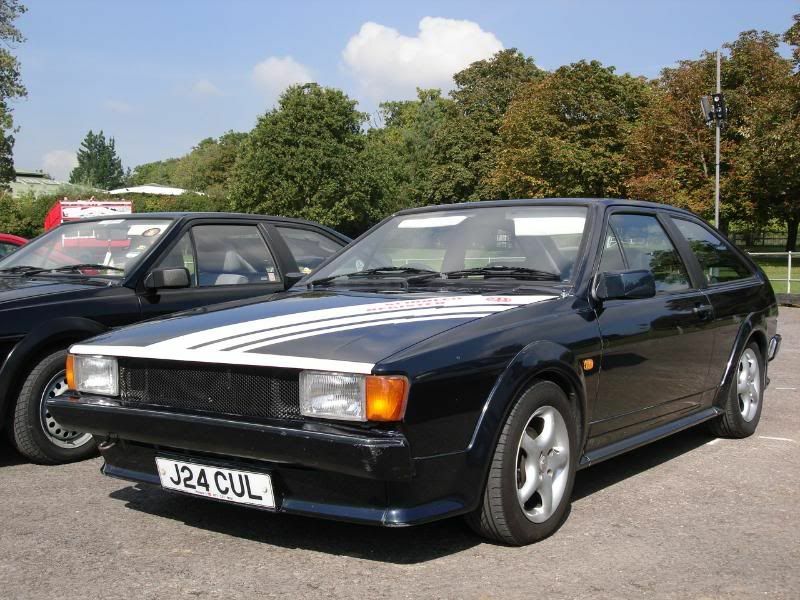 A house move also meant that the scirocco was far from the top of my priorities list but luckily through all that i never had the heart to part ways. Summer 2016 It was on the driveway looking rather sad. I just wanted to drive it again so i set about getting an MOT on it again. Projects in the house were on the back burner as the wife and i agreed we didnt want to be cooped up inside all summer. I started by stripping out inside and giving it a thorough clean. Even though I had vacuumed out all the water, it was still quite damp in there and that led to mold and mushrooms growing. Started Peeling off the vinyl. This highlighted why i shouldnt have rubbed everything back, The glue of the vinyl has stayed on the car in tose places making it tricky to remove. New exhaust rubbers, Throttle pedal bush makes a massive difference, gave it a service and found a Votex steering wheel on ebay that i liked the look of. It failed the MOT on a split CV boot which i didnt think was too bad concidering how little it had done for 3 years. To make sure i drove it I planned a road trip with a friend of mine. The idea was to visit all the current british touring car circuits in 2 days. Going in a ropey looking rocco added to the excitement! Brands, Snetterton, Rockingham, Donnington, Croft on day 1 then day 2 from near croft to knockhill, Oulton, Silverstone, Thruxton. Excellent trip 1300miles in 2 days in a Rattley smelly rocco with no sound deadening! We didnt go in just took a picture at the sign of each one! The trip did highlight a few problems which Ive added to the list for this time round. One of the CV joints started knocking halfway through day 2, the clutch started slipping and an oil leak got worse from the bell housing. Didn't stop me from packing up and going to edition a few weeks later where it played the role for beverage holder while the tents went up! Bad move, nothing kills car project enthusiasm quicker than a field full of people with cash to burn. Seemed like 1 wheel nut on some of the show cars was worth more than the rocco. That kind of brings us up to present day because that was the last time it moved off the drive. Ive been doing bits these last few weekends and accumulating parts to put it right. So more pics to follow along with what I plan to do to it, now that I'm doing things properly. I want to keep a fairly subtle look too it with any new mods from the 90's/00's without going too max power! I know that I have a fairly solid base to build from. Chassis wise I'e done about as much as i think it needs, just going to keep on top of maintenance although i might remove the axle spacers and camber shims and maybe raise it up on the coilies a little so it doesnt look too agro. Same goes for the engine at the moment. I like the character of the 8v injection, particularly with the cam and exhaust system it has at the moment, so i'll stick with it and just replace when things break. It does have samco hoses which would be nice to get proper clips for, its currently got the factory sprung type clips which i dont think are great for the longevity of the hose. My main focus to start with will be getting an MOT and driving it again. Whats the point in having a toy and not playing with it!!!! The speakers ive had for years originally in my mk4 golf. The set on the left are monsters kenwood 25th anniversary components. I have a spare set of door and rear cards which im hoping to customize to fit them. The radio also kenwood is cassette with a 6 Mini Disc changer (who knew that was a thing?!) was an eBay find. As were the Kenwood PS amps. I will probably need to upgrade the amp, wiring and battery to run those so they will be for later in the project. Eventually I want to prove that you can make a cassette sound great because they are very under rated things. Subs will come after the amps are in probably kenwood again and hopefully an old one to fit with the rest of the system and keep with the original period theme. The boot will obviously require some fabrication. If there's room after the amps gone in i'll see if i can squeeze 2 10" in there if not just the 1 will have to do. I still want to leave it with enough room for a tent and some beer for any future car shows! Elsewhere inside. Refit the headlining which never went in properly when the glass went in after the wrap. On the hunt for an original set of seats, as i said earlier not totally happy with how they turned out. One of my biggest regrets is that the old ones were perfectly good and i just chucked them out because i didn't have the space for them. The Votex steering wheel will need a re trim as will the modified door cards eventually. For now just going to re-glue the inserts to tidy them up and make it usable. Generally just tidy it up and make it a nicer place to be! Outside obviously a respray eventually. Been thinking about colours a lot and in all honesty I cant think of one that id particularly favour over and above the original helios blue. Maybe its something at the back of my mind thinking that the wrong choice would be another step back. I know its a fairly solid base as i did a lot of prep before the wrap but there will be a lot of rubbing down. There is some surface rust where i took it back to bare metal but its only light and will easily sand away. I'm not sure whether to keep the storm single wiper kit or revert back to original, if i'd kept all the old bits it would be an easy decision but once again space was limited at that time! Hope i didn't bore too many with that. The joke in the family is that I ruined it when i wrapped it and i can see where they are coming from but I dont think its too far gone. This is kind of more a therapy for me so sorry for waffling on while I clear my conscience! Last few weekends I’ve been making a start on tidying up the inside. The weather has been horrible and it seemed a good place to start. Some of the wiring was a mess. For example where various different radios had been fitted, somehow it ended up like this! I took the seats and carpet out and cut my own sound deadening. It seemed rather thin so I’ve doubled up with a vinyl backed layer on top. I never originally got round to fitting a boot open solenoid when I smoothed off the boot lock button so for a long time this was how I opened it! Not the most secure and watertight option but it was in the garage so didn’t need to be! I found a boot open switch was close enough style wise and I wired it up to a relay. It’s from a BMW X5 I think and I’ve managed to wire it up with the correct connector and so it illuminates too. The dashboard isn’t in very good condition so I didn’t feel too bad about cutting into it. Ive not got a picture of it for some reason but you might be able to see it on this of it all back together. Ive put the button next to the lower dash vent by my right knee. Inner sill trims were fitted in with thanks to craigwalton's genius 3D printed jobbies. Its Looking and smelling a lot better in there now! Had a good weekend on it. Was given permission to spend all Saturday and most of Sunday on the Rocco! I also had to take yesterday off for a delivery so i got another day pottering on it. 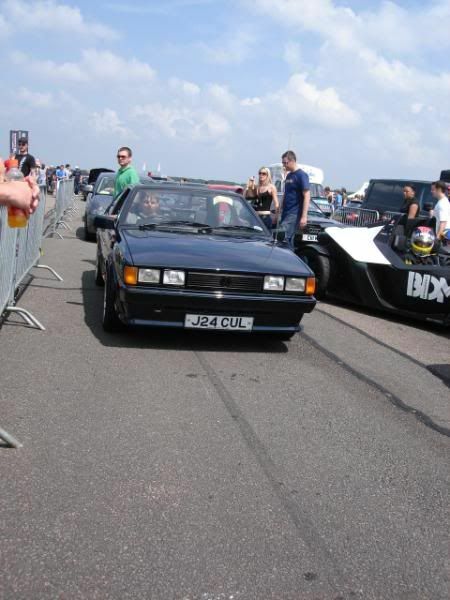 Ive booked the MOT for this Saturday coming and its mostly ready just a couple of last minute issues to iron out! I took some inspiration from Eefy's how to write up in the skyrocket mag and fitted a usb charge socket. I promise it looks better now the tape is off and the glue is tidied up but i didn't get that picture! I removed the inserts, reattached the fabric, re-stuck the inserts with gorilla glue and added some nice new shiny inner handles for a bit of bling. I finished wiring in an old cheap aftermarket set of 4x6 door speakers which will do until the summer when i have the time to get started on the custom door cars for my components. When i put the kenwood hu in the cassette deck wouldn't work so i decided on this old Sony i had lying around. Looks quite neat and does a job. I'm on the look out for a working kenwood that will control the md changer. This one might be repairable but ideally id like one of the old mask style ones! New parcel shelf clips, thank you essextom! Boot cleaned and i put some sound deadening in, preparing for the summer. I also put some tyre dressing on the spare, hoping the tester might think i care despite how it looks outside! I was lucky enough to acquire a brand new set of headlamps from my old work to replace the lamin-x'd ones. I saved them from a skip! As the company had sold all the coaches that they fit they were chucking them out. Hella boxes with VW/Audi on the side! Sadly out of the 4 only 3 came with new surrounds so in on the hunt! My headlight were coming on with the sidelights which worried me because I only noticed it after I had done the relay upgrade. Luckily it wasn't anything i had done and was fixed with a new switch! There was a lot of cracking and movement from the OS top mount yesterday. Panic! It doesn't seem long ago that a part like that would be held in stock by every local motor factors in the country. As it was i did find some at a GSF but over half hours drive each way. Still it needed to be done so i did it. Went to change the NS too but the top nut wouldn't undo so i am going to attack that later in the week when some spare nuts have arrive, just in case! Fingers crossed there wont be too long a list when it gets tested, kinda worried because i haven't really had a look underneath it yet! Thought id finish on a picture of my Frankenstein seats. 911 upper on Corrado base. Not sure if I'll keep them and get them re-trimmed or just junk them for some originals. Its the snugness of the base against the carpet which is my biggest concern. For now I'll chuck a cover over them and forget about it! moser wrote: Had a good weekend on it. Was given permission to spend all Saturday and most of Sunday on the Rocco! I also had to take yesterday off for a delivery so i got another day pottering on it. Ive booked the MOT for this Saturday coming and its mostly ready just a couple of last minute issues to iron out! Looking good buddy nice progress! As the boot opening, you could do it with 2 relays I guess. One activates with the hand break light and the other when the button is pushed so both have to be activated. Yeah I was thinking along those lines but worried the relay might get hot if parked up and activated for a long time. Not really essential, just something to think about. Just thought about it again. Its not really any different to having headlights on for extended periods is it! What a dummy, of course it'll work!!!! Just seems a little overkill having 2 relays in a system to open a boot! Yeah the relays should be fine, you will probably even be able to get a double trigger one somewhere.